Her backstory is hazy and she can only say what she can recall. From what is known, she was created as a test subject for some sort of experiment, with said experiment going awry. 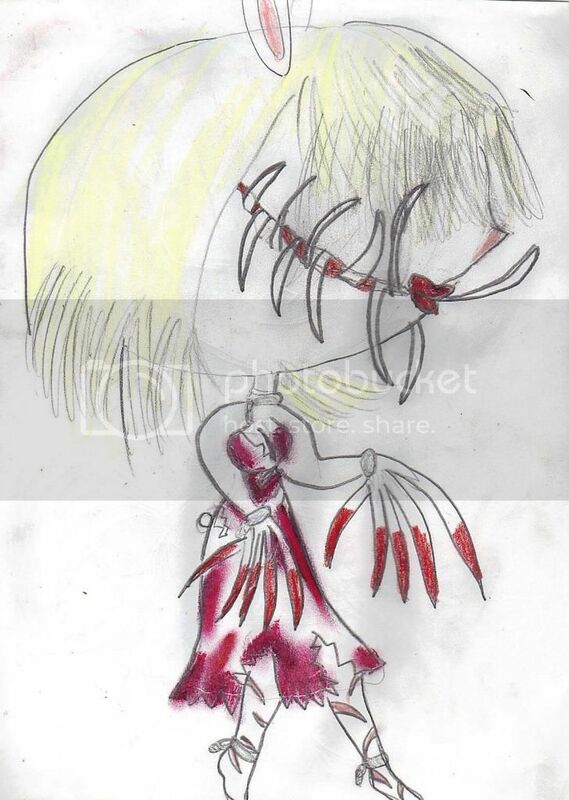 Her appearance is that generally of a young woman with long nails, teeth (some of which can be seen protruding), and bloodied clothes, as well as scarred legs. She has blonde hair that covers her eyes. When her eyes are seen, they are noted to be green with stains of red. She is noted to be rather vague with her personality and is quick to distrust others before getting accurate judgement, just as she would trust them. She isn't actively malicious but would be quick to do harm. Generally, she is rather infantile and curious, having little experience of the world. At the same time, she would makes friends and is easy to influence.